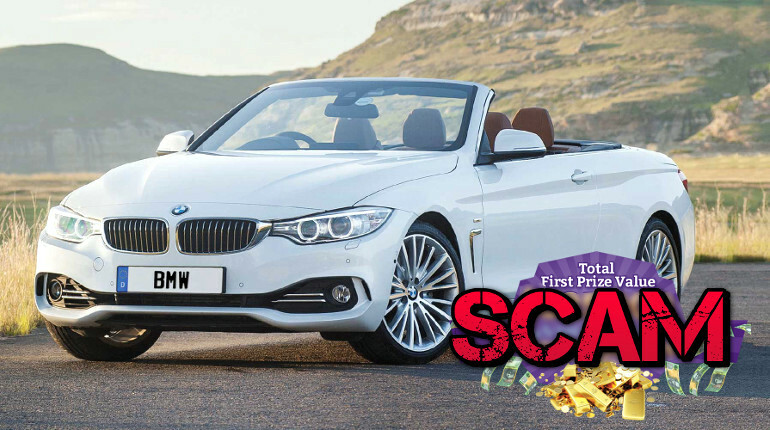 Subject: Claim Your Car And Check With Your Winning Code BMW:2541256004/25. This is to inform you that you have been selected for a prize of a brand new 2016/2017 Model BMW X5 SUV and a Check of $1,500,000.00 USD from the international balloting programs held on the 2nd section in the UNITED STATE OF AMERICA. Description of prize vehicle: The X5 has enough luxurious space for everybody. Rear Comfort seats with enhanced foam padding offer 3” of forward/backward movement, putting passengers in the perfect position to utilize a DVD drive and two optional 10.2” LCD screens. An optional third row seat offers extended capacity, and includes its own climate control. The optional Wi-Fi Hotspot keeps you connected to everything you love whether you’re on-the-go or far off the beaten path. Included with the Wi-Fi Hotspot, a Wireless Charging Pocket will keep you fully charged anywhere the road may lead. Contact him by providing him with your secret pin code Number BMW:2541256004/25. Scam alert! The E-mail above is a SCAM. It’s a Nigerian Lottery scam, the story and all names & roles are fake. The real BMW company has nothing to do with this scam. The scammers ask you for (more and more) money upfront as ‘costs’ before you get the ‘prize’ (which you will never get offcourse). If you’ve more information and/or received this message too please comment below. Describe how you got it (as an e-mail or comment?, the message etc), thanks in advance! Then mark it as SPAM (if possible) and/or DELETE it. bmw-mobile.com mail is handled by 0 bmw-mobile.com. 83.249.93.204.in-addr.arpa domain name pointer rs113.nsresponse.com.